The U.S. is negotiating at the United Nations Framework Convention on Climate Change meeting in Doha, Qatar, a new legally binding treaty to cap and trade greenhouse gases, primarily carbon dioxide that is emitted when fossil fuels are burned. Since 1997, the U.S. has wrestled with a proposed GHG cap of 7% below 1990 levels by 2012. The U.S. Senate never ratified that treaty called the Kyoto Protocol that expires this year. In 2009, President Obama updated the U.S. target to 17% below 2005 levels by 2020, in keeping with discussions in Doha. 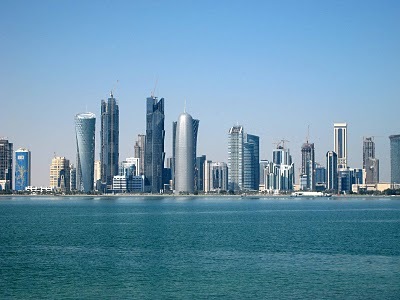 At the 2012 UNFCCC’s opening on Monday, former Qatari oil minister Abdullah Bin Hamad al-Attiyah tried to deflect the criticism that his nation is the world’s largest per capita GHG emitter stating, "We should not concentrate on the per capita [emissions]. We should concentrate on the amount from each country." Jonathan Pershing, the American negotiator this first week, claims that America deserves more credit for “enormous” efforts. Indeed, President Obama has thrown billions of taxpayer dollars to not only Solyndra, but to more than a dozen solar companies that went bankrupt last year. It is “enormous” too that a new CAFE standard of 35 miles per gallon by 2016 was set in 2008, when the auto industry was in a compliant mood after a $50 billion government bailout. The asphyxiating 54.5 miles per gallon by 2025 will “enormously” affect our families’ safety too.